Yesterday, I received a telephone call from a 305 area code (Miami). After listening to the message, I called them back. They claimed to be from the Internal Revenue Service and that I had owed a past due amount and that they were going to pursue criminal charges against me. Today, a client called me and informed me that she had received a similar call. In both cases, these were phishing scams and not the Internal Revenue Service! I refused to give them any information, and when I informed them that they were not the IRS they hung up on me. DO NOT give these people any information! The IRS does not call you if you owe them money. When you owe the IRS money, you will be sent numerous notices via USPS First Class Mail. It is very rare for the IRS to call a taxpayer! They nearly always use USPS First Class Mail to contact taxpayers, especially if this is an initial contact! When in doubt, ask for their name, badge number, and a number where your accountant or attorney can call them back. Then hang up. Do not give them any personal information whatsoever over the phone–do not confirm any personal information! When in doubt about any collection proceedings from any tax authority, contact your tax professional. Also, note that it is extremely rare (never to the best of my knowledge) for the IRS to use email when dealing with tax payers. 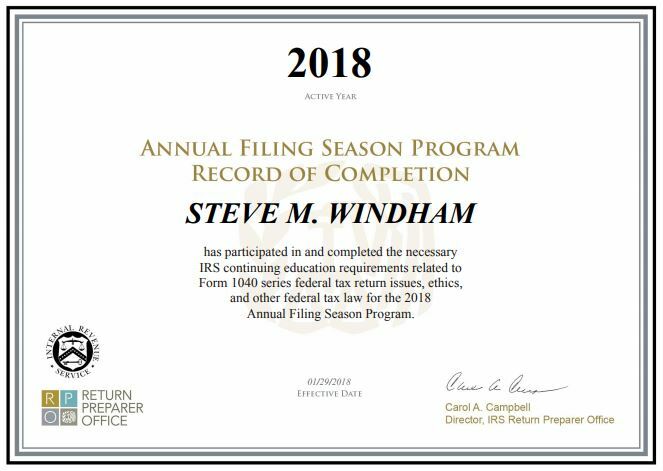 Recently, I was notified by the Internal Revenue Service that I qualified for the Annual Filing Season Program certification. The only thing that I had to do was fill out an online application. Since I am already an Enrolled Agent, this credential does not confer any additional benefits, but it does show that I am maintaining my continuing education requirements. 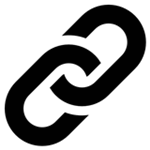 I have added a new section to this website that includes several useful Accounting and Taxation links. Please visit my Accounting and Taxation Resource Library. The Internal Revenue Service recently revamped the website, www.irs.gov, in response to user feedback. The new look is designed to facilitate users in locating information and improving access by various devices, including smartphones, laptops, tablets, and desktops. Personally, I have used four of these tax software packages, having used three of them for a significant amount of time. These are: 1) Lacerte, 2) CCH Prosystem fx, 3) Drake, and 4) ProSeries. My experience with ProSeries is very limited, so I have little to say about it. Between Lacerte, CCH Prosystem fx, and Drake, each has its’ benefits and drawbacks. Lacerte is very robust (there are only a handful of tax forms it does not handle), fairly easy to use, good customer support, and has many options that tax practitioners may find useful (such as printing out all of the input data in all of the input fields–something not found on all tax software). The downside to Lacerte, and why I quit using it was the price. CCH Prosystem fx is slightly more robust than Lacerte (it handles more of the international tax forms than Lacerte), has good customer support, and it comes in a cloud-based version, CCH Global Prosystem fx. The cloud-based version allows multiple users to access from anywhere in the world where there is a high-speed Internet connection. The downside of CCH Prosystem fx is that it is cumbersome, glitchy, not very intuitive, and expensive. Having worked with CCH Global Prosystem fx and CCH Prosystem fx for several years, I would not recommend it. Drake is easy to use, inexpensive, and has great customer support. There are drawbacks; it is not as robust as Lacerte or CCH Prosystem fx, and data input cannot be printed out the way it can be in Lacerte. I switched to Drake from Lacerte for Windham Solutions in 2013, and I have no plans on going back to Lacerte. The IRS recently lost a class action lawsuit on how they manage and charge for the Preparer Tax Identification Number (PTIN) program. The IRS PTIN program was updated to include an annual renewal and annual renewal fees several years ago. This was ostensibly to combat tax preparer fraud, yet the IRS was never quite able to articulate how it combated fraud and how much fraud it prevented. The 2014 Loving case is a related case in which the IRS lost the ability to regulate tax preparers. Follow the link below to see who the top 500 delinquent taxpayers are in California. The IRS Office of Professional Responsibility lost a court case against disbarred attorney, James Sexton, Jr. that tried to regulate Sexton’s preparation of tax returns and offering services of written advice. The court issed a declatory judgment, rejecting the IRS Office of Professional Repsonsibility motion for summary judgment. Furthermore, the court issued a permanent injunction against the IRS Office of Professional Responsibility from pursing further enforcement against Sexton in this matter. Sexton successfully argued that the Loving case applied to his situation because, as a disbarred attorney, the IRS Office of Professional Responsibility did not have jurisdiction over him. He was not representing clients before the IRS because, as the Loving case determined some years earlier, preparing tax returns does not constitute practice before the IRS and the IRS cannot regulate those who do not practice before the IRS. April 15th filing deadline for 2016 tax returns has been moved back to April 18, 2017. April 15, 2017 falls on a Saturday which would normally push the IRS federal tax filing due date to Monday, April 17, 2017; however, because Monday, April 17, 2017 is Emancipation Day in the District of Columbia, the IRS federal tax filing deadline has been moved to Tuesday, April 18, 2017.